Study at the highly-ranked University of Surrey, UK. 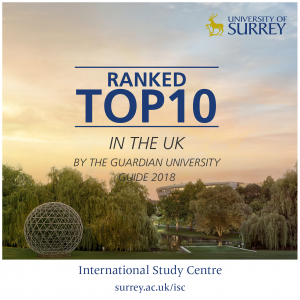 Prepare for a Surrey undergraduate degree with a Foundation Year at the International Study Centre located on the University campus in the beautiful English countryside and within easy reach of London. Admissions are still open for a January and September 2018 start.